The place was less than packed when we arrived, but then we were having lunch on the late side. What a clean, cool vibe this place has. It’s light a bright inside and we were immediately greeted by a our pleasant hostess who also turned out to be our waitress. 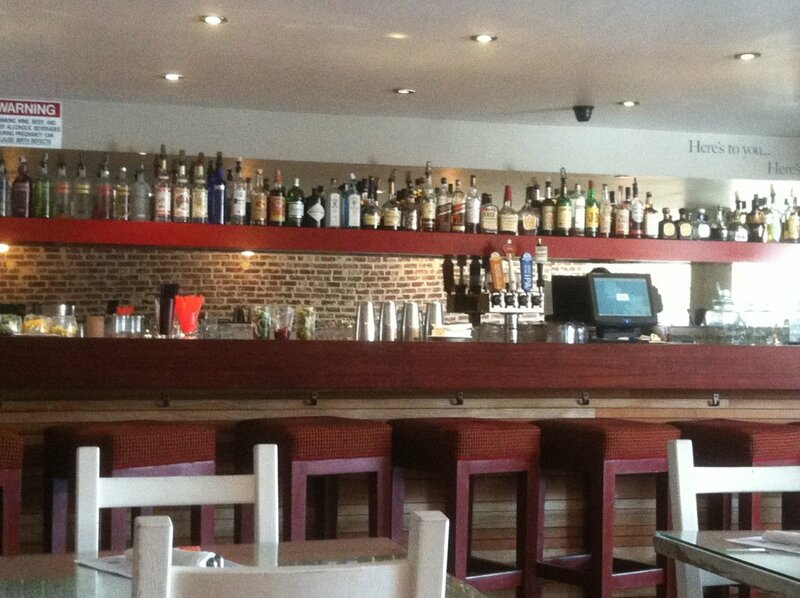 HPK offers a full bar, though drinks were not on the agenda as we both had to get back to work. The HPK menu has something for everyone. As tempting as the pomegranate ceviche sounded, we went for something a bit more traditional with their sliders. The cool thing is that their sliders are mix and match. You get 2 good size burgers and can choose from 5 selections. 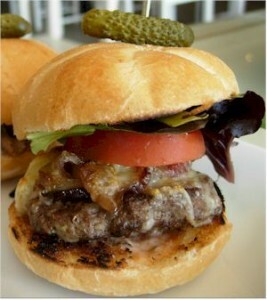 Though we both simply had to have one of the angus beef sliders (fabulous!) we were each able to choose a second variety off the menu. I went with the short rib slider and she had the sautéed mushroom one. Delish! For an extra couple of bucks, we could have each had a side of fries but we opted for one of the menu “to Share” items, carne asada fries. As if we were actually being ‘healthy’ we chose the sweet potato version, and the actually WERE sweet potato and not the yams that most restaurants pass off as sweet potatoes- just sayin’! 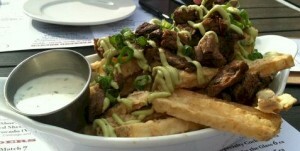 The fries were coated and crisp and the toppings included carne asada and a yummy avocado cream dressing plus a side of a creamy cilantro sauce for dipping. This was new taste sensation for both of us and neither was disappointed. I plan to venture back one evening to take advantage of their happy hour and cehck out some of their interesting cocktails. 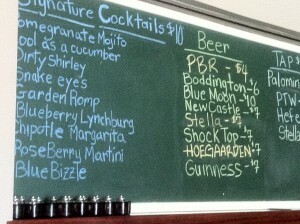 Just the names of some of these drinks and the way they are presented on the blackboard made me want to try a few. Anyone up for a Garden Romp?! I'm just not one for drinking in the middle of the day - at least not during the week. If you are there for lunch as I was, remember, the meters on the street limit you to 1 hour parking. You may need to run out and add some change – we were enjoying ourselves so much we found it difficult to leave! Go for lunch, dinner or drinks during the week or check out their weekend brunch. I think third time is charm for this location and HPK is here to stay.